Guns are welcome on premises. Please keep all weapons holstered unless need arises. 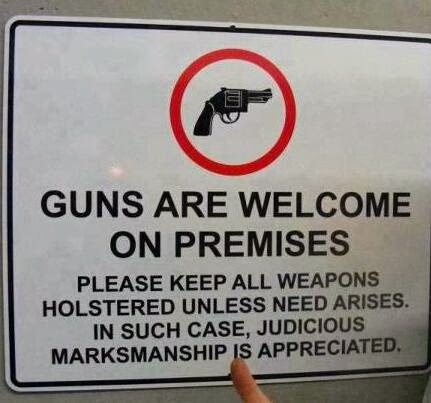 In such case, judicious marksmanship is appreciated.